Hoverboards. This whole craze infiltrated our society in the last few years, with kids, tweens, and adults alike, all showing their skills (and some, a lack thereof) on the board. Although hoverboards are not necessarily everyone’s cup of tea, many have taken to this high-technological “toy”; as with anything, however, (especially something as “techy” as a hoverboard), no one product is equal and you may find some hoverboards that are incredibly awesome, while others are not even worth the advertisement. So with this in mind, we will review the top cheap hoverboards of 2018 thus far, their price, features, and if they’ll be worth your time and, more importantly, your wallet, so without further ado let’s get started! 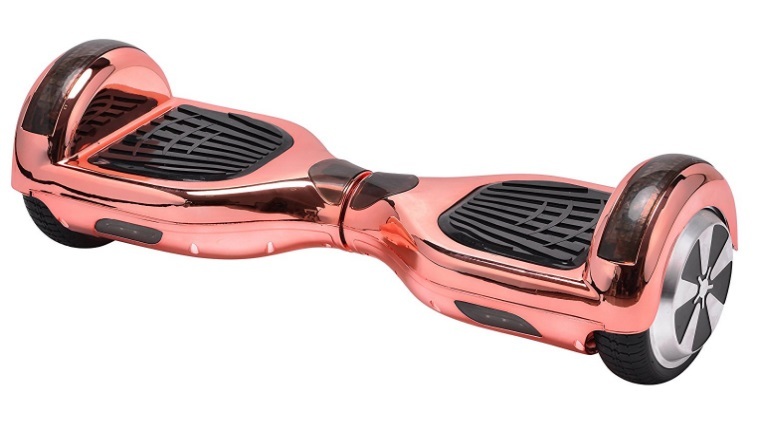 The Self-Balancing Hoverboard Scooter-VEEKO will cost you about $150.00 on Amazon, which is a fairly decent price, considering that there are other hoverboards on the market that are twice that price. This self-balancing scooter will be reassuring to any potential buyer as it passes all traditional safety tests, in addition to being scratch resistant and fire retardant, with a sleek finish. 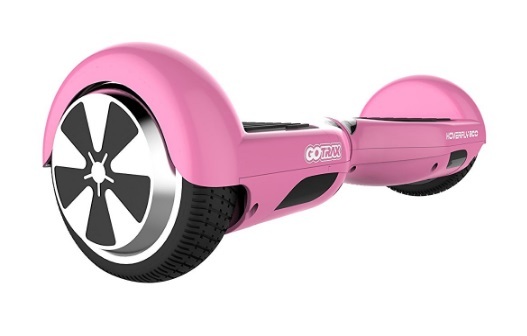 The Scooter-VEEKO comes with a professional gyroscope and acceleration sensor, in addition to a servo-control system that ensures the balance that a rider would need, while offering the rider the smoothest, and most enjoyable, ride possible on the hoverboard. Additional features also include strong power motors that allow for high-speed (well, at least high speed for a hoverboard) and a top quality battery pack that allows for a stable riding performance experience, and not needing to worry about your battery dying mid-ride (because who would want that). The Scooter-VEEKO has been said to have some major charging problems (i.e. being plugged up for a whole night and still not holding a charge the next day). 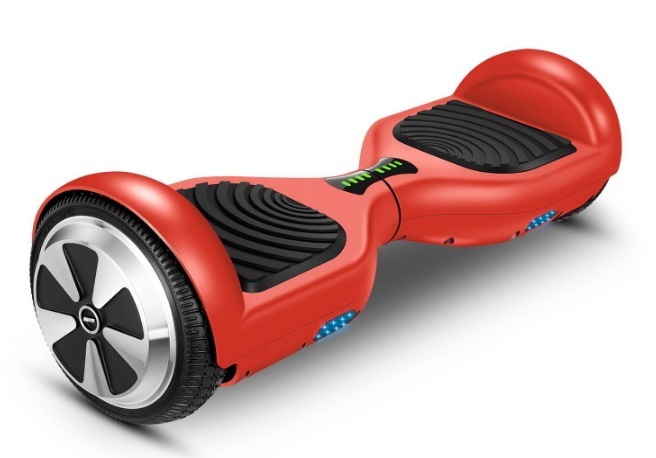 In addition to the charger issues, depending on where you purchase this particular hoverboard from, customer service can also be a pain, but again this depends on where it is ordered from; the main issue seems to be the VEEKO not holding any kind of charge, or not charging at all. The UL2272 starts at about $190.00 on Amazon (but you may be able to find a cheaper option if you do mind purchasing one that is in a used condition). The UL2272 is Bluetooth capable (which is a pretty awesome feature) and is also a certified hoverboard, so potential buyers do not have to worry about purchasing a weak piece of equipment for their loved ones. LED lights are also included with this particular hoverboard for safety, just in case you decide to take a joy ride at night (which we do not recommend, but the LED lights are still a handy feature). The UL2272 is an easy to grasp hoverboard, which is amazing for those who have never used one before; buyers who have purchased this item from Amazon were very pleased with the timely delivery, in addition to its being charged upon arrival. The paint on the UL2272 does scratch easily so be mindful if you’re trying it out for the first time-those scrapes could do a bit of damage if you aren’t careful. There have also been a few reports of the hoverboard having a strange “acid-like” smell when first being opened from its box-some say that the smell goes away within time, but there has also been some times where the smell stayed and there was also a liquid in the box that ate away at the paint on the hoverboard. The features of the self-balancing Scooter-OTTO UL2272 include 250W dual motors that are a huge benefit if you are navigating up a hill, in addition to overheat and low battery protection; it also has a riding mileage of 7-10 MPH (depending on the terrain and where you are). There is also an updated self-balancing system with the Scooter-OTTO that allows for a dynamic equilibrium and enables the rider to have a smooth ride, while also offering an ability of control. The Scooter-OTTO comes with LED lights and an all-purpose low battery warning that is extremely convenient; the stopping and starting motion is also pretty amazing, with also no jerking or abrupt stopping (depending on your level of experience of course). The price is also fairly reasonable ($160 on Amazon with free shipping) so your wallet won’t be too heartbroken and also has a 225lb weight limit. Some of the versions of the Scooter-OTTO stopped working only a short period of time for some buyers, in addition to some even receiving a brief electric shock when turning on the power button. The GOTRAX is designed in Denver, CO and features LED lights, festive colors, and is made of a high-quality material. There are also electrical, battery, and charging systems that are both tested and certified, which offers potential buyers a certain level of confidence and reassurance; there is also a training module which is an extreme benefit for beginners and for those who just may want a bit of extra practice before going out on the streets. The GOTRAX goes up to 7.5 MPH and the training module that was mentioned above makes navigating this speed a breeze! When fully charged, the rider can travel up to 12 miles in one ride, which is also another attractive feature to the GOTRAX. The first downside to the GOTRAX is that currently it is unavailable on Amazon, but there may be other vendors that you can purchase this same model from. In addition to this, the calibration with some boards may be a bit off, resulting in bad vibrations that will obviously make it dangerous to operate/ride. There has also been some boards that would not charge at all, even on the first try. 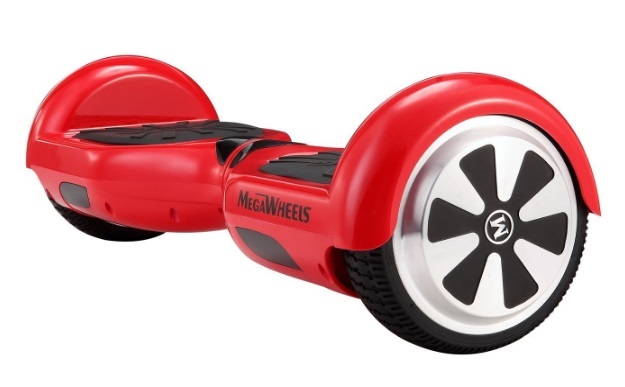 The Megawheels Hoverboard will cost you roughly $170.00 via Amazon; the features of the Megawheels hoverboard include a cruising speed of approximately 7.5 MPH (very decent speed, especially for beginners). The heavyweight, yet sleek, design of the Megawheels can hold a weight limit of up to 240LBS and is equip with hard rubber tires for durability. 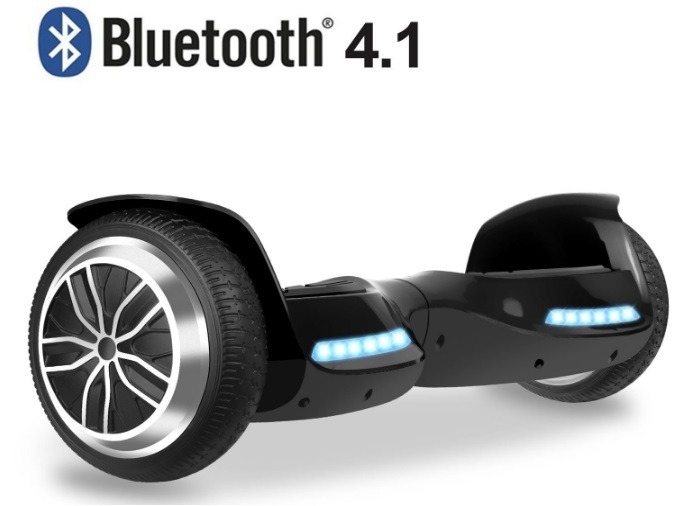 The Megawheels has a high level of durability and sturdiness for a decent price; in addition to this, the Bluetooth speakers hold up incredibly well so riders can enjoy their choice of music while touring the city (or just riding around the house). Also, even if you are new to hover boarding, the Megawheel is a great choice for beginners (I would still recommend trying it out around the house beforehand- just a recommendation)! Surprisingly, the negative points for this particular hoverboard are close to zero; there have been some charging issues but that’s about it, which is pretty impressive in and of itself. Bottom line, after reviewing these five hoverboards, it comes down to making the best choice for your family, as well as for your wallet. The major downfall between all five seems to be the charging issue and the best way to resolve this is to ensure that you purchase a board from a reputable place that includes a warranty; unfortunately, some issues may not get realized until we have them in our home but we can take the best precautions possible. Also, be sure to practice safely if you are new to riding a hoverboard (especially for our young folks); start in the house or backyard before going out on public streets most definitely!